DolomitiArtRock is a meeting place on the border between micro and macro cosmos, where the beauty of the Dolomites is expressed. The Dolomites so beautiful and insightful emotionally, playing with light daily, vibrating in color contrasts unique in the world and that made them famous. DolomitiArtRock is an exhibition that reveals a brand new world: the microworld of the Dolomite rocks, where lies an unexplored beauty made from minerals, microfossils, products of volcanic eruptions ... all traces of an incredible geological heritage that gives it form the wonder. The exhibition will showcase proposal rocks and thin sections of rock sampled by Prof. Nereo Preto (UniPd), but also artistic photos taken under a microscope by Prof. Bernardo Cesare (UniPd). DolomitiArtRock make possible to travel back in time about 75 million years, passing through the beauty. The project will also see some unfolding of side events and will offer cultural souvenirs in order to convey to the general public the contents of universal value recognized to the Dolomites. An engaging activity to see the Dolomites under a microscope: let’s play with minerals and crystals and cut the rocks in small slices! The museum hub of the Regole d’Ampezzo embodies excellence in each respective field. The Rimoldi Museum of Modem Art curates one of the top twentieth century Italian art collections. The Rinaldo Zardini Paleontological Museum displays unique paleontological finds, which are being studied worldwide by prestigious universities. Lastly, the new Ethnographic Museum tells a story of an ancient and still current institution, the Regole d’Ampezzo. In several European localities collective properties are still surviving: “Vicinie” [neighborhoods], “Regole” [rules], “Partecipanze” [participations], and “Consorterie” [consortiums] are just some of the names they go by. In Cortina d’Ampezzo they are known as the Regole. Here, forests and pastures are collective properties of the original community. The property and collective usage of forest and pasture resources has represented for centuries the essential source of survival for the Ampezzo people, regulating also the relationship between man and environment, and allowing a sustainable use of the natural territory in the valley. This ancient order establishes the collective right of the territory’s fruition and management. Land cannot be sold or be subject to changes of destination: it is a natural, cultural and economic patrimony, one of co-ownership, to be transferred to the children, where conservation and production uses coincide. The guarantee of indissolubility and inalienability of the forest and pasture patrimony has allowed to identify in this self-governing form a reliable custodian of the cultural patrimony of the territory. This wealth finds its full meaning within the three important collections kept by the museums. The first one, the arts, has been declared by the Department of Culture one of the most relevant twentieth century collections in Italy, offering masterpieces by such artists as Alberto Savinio, Fortunato Depero and Renato Guttuso, together with other must-haves when studying Filippo de Pisis, Mario Sironi, Giorgio de Chirico and Massimo Campigli. 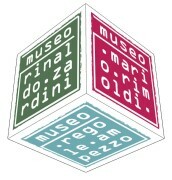 The museum was founded in 1974 thanks to a gift to the Regole d’Ampezzo of 364 Italian works belonging to collector Mario Rimoldi by Ms. Rosa Braun, his widow. This initial core collection has been enhanced over the years by hundreds of other works, gifted or bequeathed. A year later, in 1975, the Rinaldo Zardini Paleontological Museum opened to the public; it holds in custody one of the most relevant collections of the geological and morphological evolution of the territory. The findings collected by Mr. Zardini from the area of the Dolomites surrounding Cortina have been catalogued in detail by the researcher from Ampezzo. Over the years, the collection has grown thanks to other dedicated individuals who have uncovered new and precious specimen of fossils, even plants, up until the recent exceptional discovery of the oldest organism included in amber, found in a drop by collector Paolo Fedele. The interest in this collection has been growing steadily, and scholars from all over the world have been visiting the museum which is now part of a network of prestigious research institutions. The Ethnographic Museum was founded in 2011, telling the story of the institution of the Regole in a modern context. The exhibition’s goal is to explain how, behind a landscape of forests and pastures admired by all, there are centuries-old choices made by past generations; how the collective property has been the essential source of survival for the Ampezzo community; and how this institution, nowadays still being recognized as such, is still up and running. The institution of the Regole is recognized by Italian law through specific legislation protecting its particular reality. The Regole have also been managing the Natural Park of the Dolomites of Ampezzo since 1990.